_ Eta Chi Gamma is a local sorority at the New York Institute of Technology Old Westbury Campus. 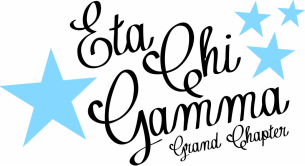 It is the goal of Eta Chi Gamma to live up to the true meaning of trust, honor, respect and life long commitment. It is our goal to strive toward academic excellence, and full involvement in our campus community.